iPad haters rejoice! According to the New York Times, Google is close to releasing its own tablet, powered by Android, to compete with the iPad and other tablet devices entering the market in the coming months. 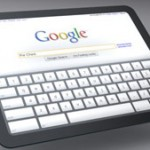 Although we still don’t know of all the specifics involved or what company will be responsible for creating the device for Google, the tablet is rumored to offer users “an e-reader that would function like a computer”. According to anonymous sources, Google is already in talks with publishers about putting books and magazines on the tablet when it is eventually released. To me, using Android on such a device seems puzzling. With Google pushing Chrome OS for netbooks, it seems like a strange choice to introduce an Android powered tablet to the world (though no more strange than Apple having the iPad use the iPhone OS instead of the Mac OS). I believe that the advantages of such a decision heavily outweigh the disadvantages however, as from what we’ve seen so far, Chrome OS offers an extremely minimalist user interface with little more than just a web browser, whereas Android not only offers a whole range of user friendly features such as widgets but also an abundance of third party applications to match, which could easily be transitioned in to tablet ready applications and offer extra functionality on the large screen. In my opinion, Google should just roll Chrome OS into Android or drop it altogether. Chrome OS simply seems superfluous at this point. Although the iPad is king of the hill in the tablet market right now, Google could offer more competition than other companies entering the market such as HP and Acer. The reason for this is simple: Windows. Whereas Android has been designed from the ground up, like the iPhone OS, for mobile devices, Windows 7 offers a less user friendly interface for tablets with a small taskbar and awkward buttons and links. 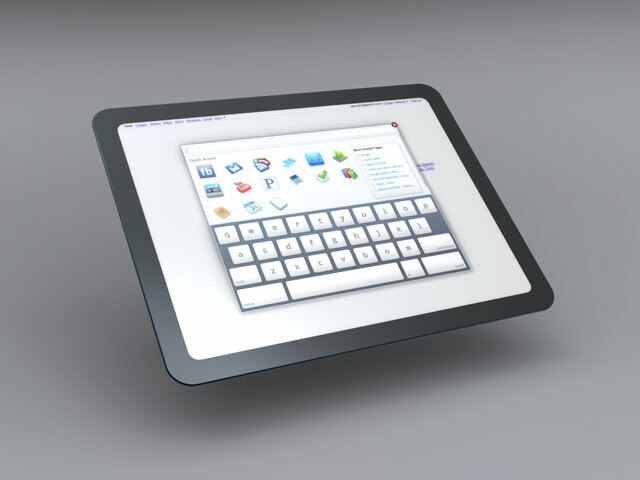 Sure, Windows has more applications than any other platform in the world, but they’re not designed to be used on a touch screen tablet and instead target a keyboard and a mouse. With Android, users can get apps of their choice from the Market easily without worrying about touch screen control issues. Google has previously dabbled in Android powered hardware when it joined HTC to create the Nexus One phone - a notoriously polished and currently best Android phone on the market. Here's to hoping they are planning to do the same with the tablet - I believe there is a huge market for such a device if it is priced correctly (read: below iPad's price).